Since moving to Irvine from Wisconsin, early this year, Constance Steinkuehler and Kurt Squire have found themselves spoiled for recreational choices. Do they and their two teenage sons take advantage of the Southern California climate and engage in outdoor activities, or do they stay home to battle “deathclaws,” feral ghouls and mole rats? Steinkuehler and Squire, who most recently taught at the University of Wisconsin-Madison, know their stuff when it comes to video games. 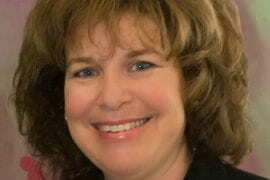 They’ve been internationally recognized researchers in the fields of technology and education for a decade and a half. 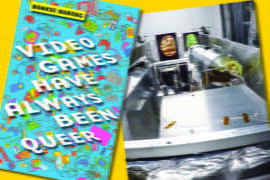 Driven by the compelling, all-encompassing characteristics of modern computer games, they’ve come to UCI at a time when this relatively new form of entertainment has blossomed in terms of commercial appeal, cultural significance and academic interest. 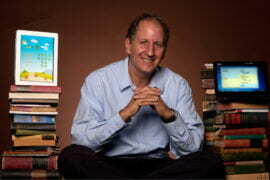 Also a professor of informatics at UCI, Squire got his start in the field as a computer game journalist in the late 1990s. He’s on a quest to make the “next generation of cutting-edge, breakthrough games that promote learning” and has trained hundreds of students in game design and software development. Many of his protégés have started their own companies. A major goal for Squire now that he’s at UCI will be to explore new frontiers in virtual reality and mobile gaming. 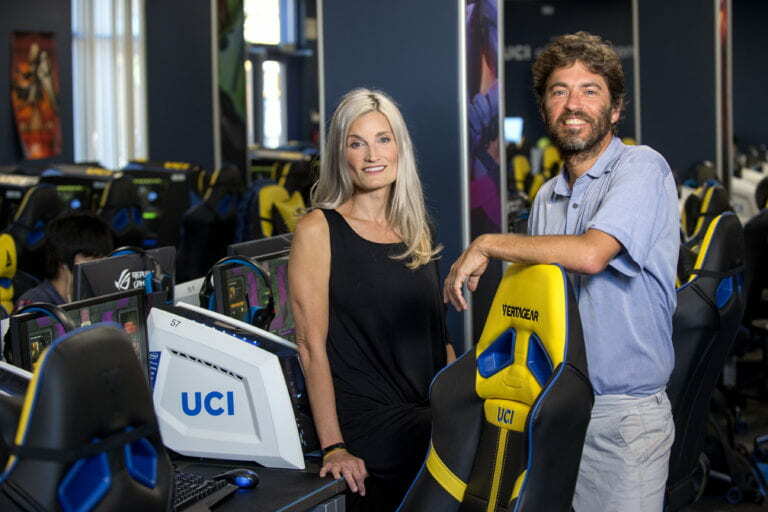 The couple believe UCI is uniquely positioned as a hub of computer gaming activity. It encompasses several labs and centers focused on games research and education, including the Connected Learning Lab, the Institute for Virtual Environments & Computer Games and the Transformative Play Lab. 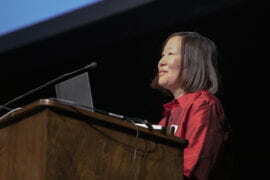 The university was one of the earliest in the nation to offer a computer game science major; since being launched in 2011, it has grown into the largest such program in the United States. 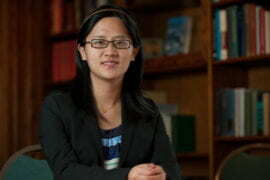 Graduates are often snapped up by local computer game behemoths such as Blizzard Entertainment, Amazon Game Studios and Riot Games. 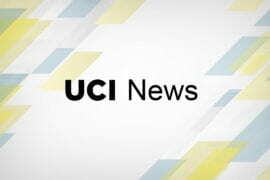 UCI was also the first public university to establish an eSports scholarship and a video game training and tournament arena, which is home turf to a varsity “League of Legends” team. 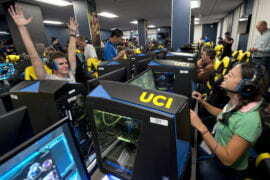 In addition to being a major draw for students from around the world (many have reported choosing UCI over other institutions because of its dominance in computer gaming), the arena serves as a data-rich laboratory in which Steinkuehler herself plans to explore the effects of electronic gaming on student life, attitudes toward campus and academic outcomes. When she and her husband are not teaming up to fight super mutants in the “Fallout 4” play space, they’ll be working together on various research projects at UCI, including one to develop wearable mindfulness technologies. “Think of it as a Fitbit for mental and emotional well-being,” Squire says. 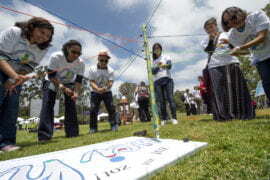 Another collaboration involves developing games to spur young students’ interest in science, technology, engineering and math. “The capacity we have here – given the number of faculty we have in one place and leadership that’s actually excited about the potential of games – is really a catalyst for a lot of what we’re doing,” Steinkuehler says.